Atmospherics: What do you get when you cross a home baker with a gal who is obsessed with butterflies? 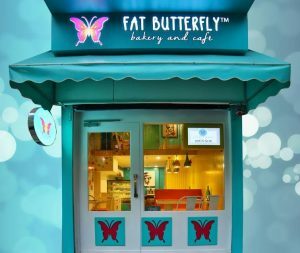 You get a cosy café on two floors that excels at cakes and waffles, called FatButterfly. Vidyun Tewari has transferred her joie de vivre from the customized cakes created in her home kitchen to the precincts of Baani Square. The market, which bustles with a host of cafes, restaurants and take-away joints, has outlets that are small enough to be attractive to first-time restaurateurs like Vidyun and her brother and sister in law, all of who are partners in the cheerful café which seats 16, including one table upstairs in the mezzanine floor. 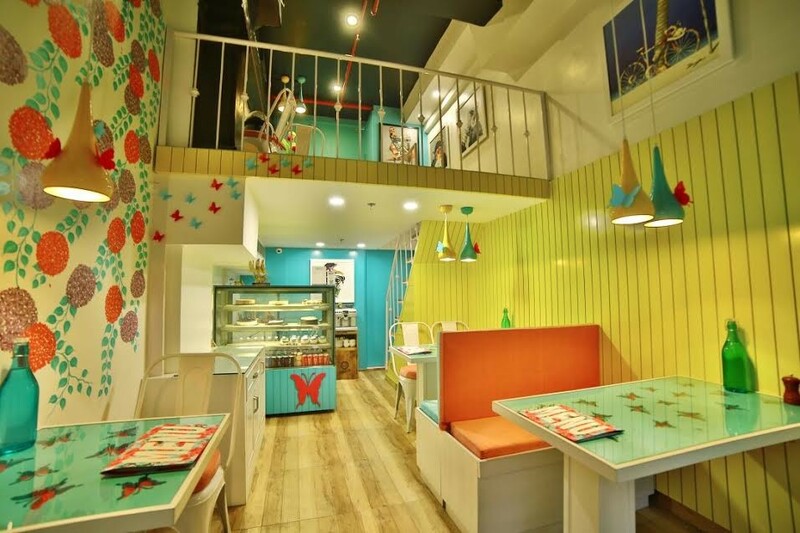 Turquoise and pink are the colours here and one or the other partner is always present, interacting with customers, so it really does feel like home away from home. They have become enormously popular within a few months of opening because of their fanatical attention to quality. Table talk: Welcome touches are bacon: fried crisp or candied, it can be added as an extra to any dish. And the mustard is entirely home-made too. 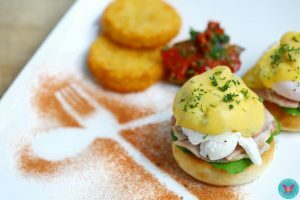 Salads include quinoa tabbouleh (Rs 365), watermelon and feta salad (Rs 345) as well as a luscious, filling house mustard grilled chicken salad (Rs 375) where the batons of tender, perfectly grilled chicken rests on a bed of irreproachably fresh greens. Croque madame (Rs 375) is a textbook-perfect recipe of a sandwich filled to bursting with cheese and Canadian bacon ham, topped with hollandaise made a la minute, plus a fried egg. It is not every 16 seater that will go through so much trouble to get a dish just right: after all, Canadian ham comes at a price, as does the chocolate for the flourless chocolate cake (Rs 180). 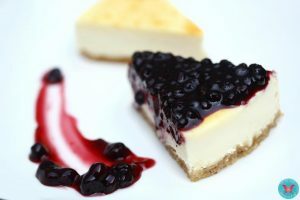 However, it is the desserts here that should be your centre of attraction. The tiramisu (Rs 200) and classic baked cheesecake (Rs 200) are cases of classic perfection and neither are overly sweet. Chocolate mousse cake (Rs 200) is melt in the mouth and the banofee pie (Rs 200) is served in a jar. Plus and minus: their efficient home delivery system covers a radius of 6 kms. Sadly, the breads are their weakest link; in my opinion, a change of supplier is indicated.